Seneca Elementary School's mission is to provide a high quality education that will empower all students to become life-long learners, independent thinkers, and productive citizens. We will provide a rigorous learning environment in which all students are motivated and challenged to reach their highest potential. Our staff and community members are dedicated to working collaboratively for the benefit of all students. 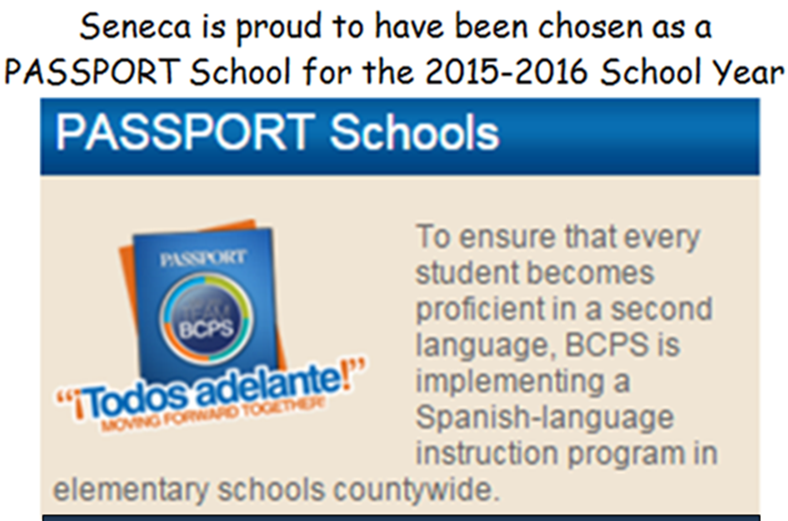 The success of Seneca Elementary School is attributed to the team work of the staff, students, and parents. Seneca is supported by an active and strong Parent Teacher Association. Our PTA members support all initiatives, volunteer countless hours, and help us provide a nurturing and engaging school environment for our students. Volunteers are important members of Team BCPS. Volunteers are essential to the educational process, as they bring knowledge and skills into our schools and strengthen classroom instruction. Volunteer Training is a quick 2 step process.